Days before lawmakers start writing budgets, they received another round of bad numbers. January tax collections were down 21.9 percent from projections. The cause, by now, is familiar. Individual income tax collections fell $87.5 million short of projections. That accounts for almost the entire shortfall, since sales tax collections were slightly below projections, but corporate income tax collections were slightly above projections. All told, tax collections for this budget year now sit $128.3 million short of projections. State analysts believe that the state’s economy is healthy, and the sluggish tax numbers are a matter of timing. They believe many Idahoans have not withheld enough taxes from their paychecks — a result of the federal tax bill passed in late 2017. And they believe the tax receipts will pick up in April, when Idahoans file their income tax returns. But even if that uptick materializes, it will come too late for legislative budget-writers, who will begin working up budget bills this month. The Joint Finance-Appropriations Committee is scheduled to write the K-12 budget bills on Feb. 18, with other education budgets to follow. More than 120 people — including school superintendents and other administrators, trustees, educators, parents and taxpayers — filled the Statehouse’s largest hearing room. Lawmakers will face a dilemma in January. They will have to predict the future — and decide whether they expect sluggish income tax collections to rebound. The outcome of the case could affect a variety of other state budgets — including K-12. 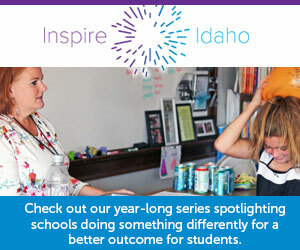 The document shows how local districts could receive more money — or less money — if Idaho rewrites its school funding formula. Lawmakers spent most of a Monday morning public hearing running numbers and looking at school funding scenarios. They were working on a document that Idahoans paid for — but cannot access on their own.